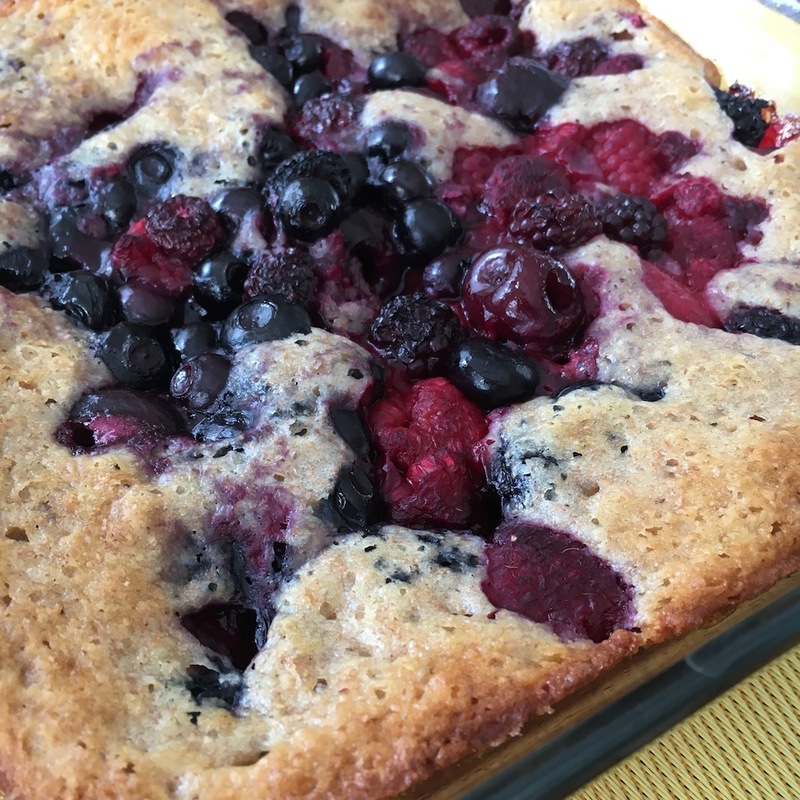 This surprisingly simple, crowd-pleasing dessert can help you get more fruit and whole grains, helpful for addressing high blood pressure, while still eating food you enjoy. 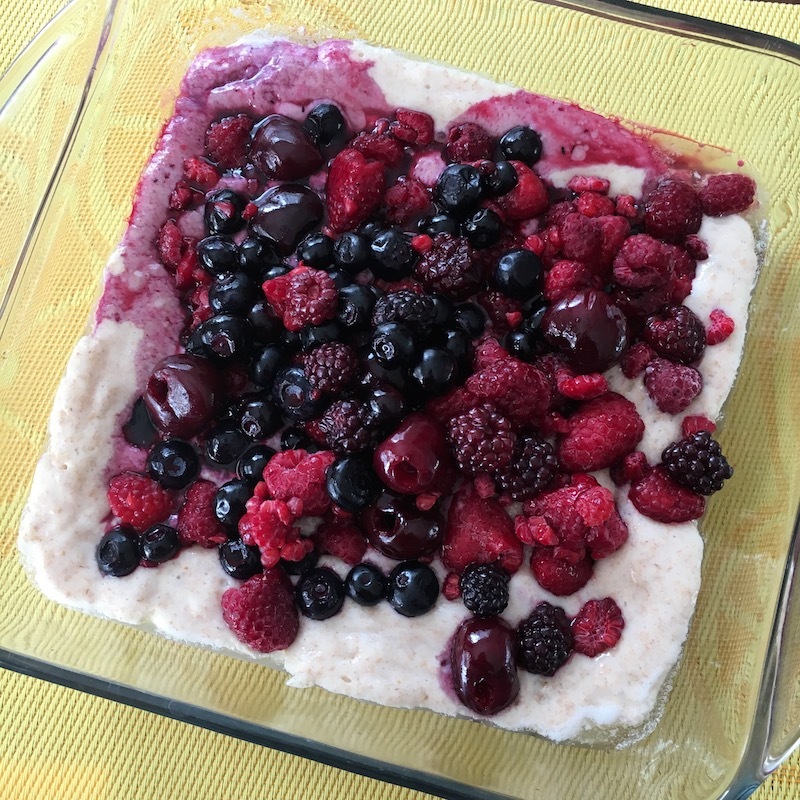 It’s one of the seven favourite recipes included in the planning guide for my free 10-Day Blood Pressure Challenge, which ran from Feb 14-24 for Heart Month. We’ll do it again in May for Hypertension Month, so sign up now if you’d like to be notified when we kick it off. Add the milk and vanilla. Stir until the batter is smooth. Melt margarine/butter in the microwave, in the bottom of an 8x8” baking dish. 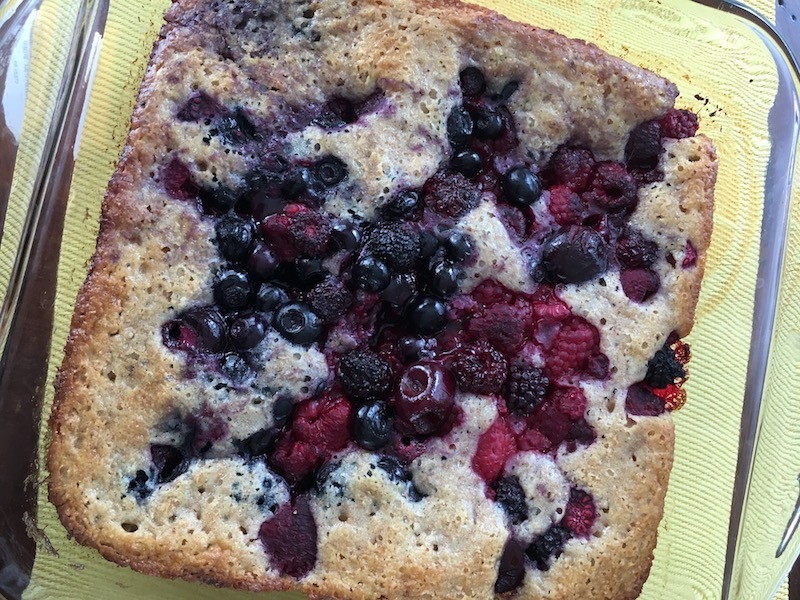 Pour in the batter and sprinkle the top with berries. Bake for 35-40 minutes or until the tart is golden brown and cooked through in the middle. Adapted from the great little Student's Vegetarian Cookbook. 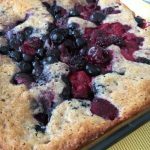 Adjust the sugar relative to your preferences and the sweetness of the berries. Let me help you navigate our challenging food environment and develop simple, lifelong, healthy eating habits.